The Honda CB300R was launched in the Indian market at INR 2.41 lakh (ex-showroom, India) placing it just below the KTM 390 Duke (INR 2.44 lakh – ex-showroom) in terms of pricing. In the recent past, we saw a video of the Honda CB300R that captured the 0-60 kph and 0-100 kph acceleration timing of the motorcycle. This time, we stumbled upon another video that captures the top speed of the Japanese bike. As seen in the video, the Honda CB300R clocked a top speed of 155 kph (speedometer indicated) that is lower than its direct rival, the KTM 390 Duke. The Austrian motorcycle, with its relatively bigger engine, can reach a top speed of close to 170 kph. KTM also leads in the acceleration comparison. The Honda CB30R, as seen in a YouTube video, accelerates from 0-60 km/h in less than 3 seconds and from 0-100 km/h in 6.20 seconds. In comparison, the KTM 390 Duke accomplishes the same in 2.6 seconds and 5.5 seconds respectively. The Honda CB300R features a 286 cc liquid-cooled, DOHC, single cylinder engine that delivers 30.9 bhp of max power at 8,500 rpm and 27.5 Nm of peak torque at 7,500 rpm. The engine is paired with a 6-speed gearbox. The motorcycle draws styling cues from the CB1000R that features Honda’s Neo Sports Café design theme. Hardware specifications are at par with the KTM 390 Duke, and the Honda CB300R packs equipment like full LED lighting (headlight, tail lamp and blinkers), fully digital instrument console, upside down telescopic front forks and a 5-step adjustable monoshock suspension at the rear. Anchoring specifications include a 296 mm single petal disc at the front and a 220 mm single petal disc at the rear. Dual dual-channel ABS comes as standard, and it works with a first-in-segment Inertia Measurement Unit. In terms of pricing, the Honda CB300R is placed very close to the KTM 390 Duke. 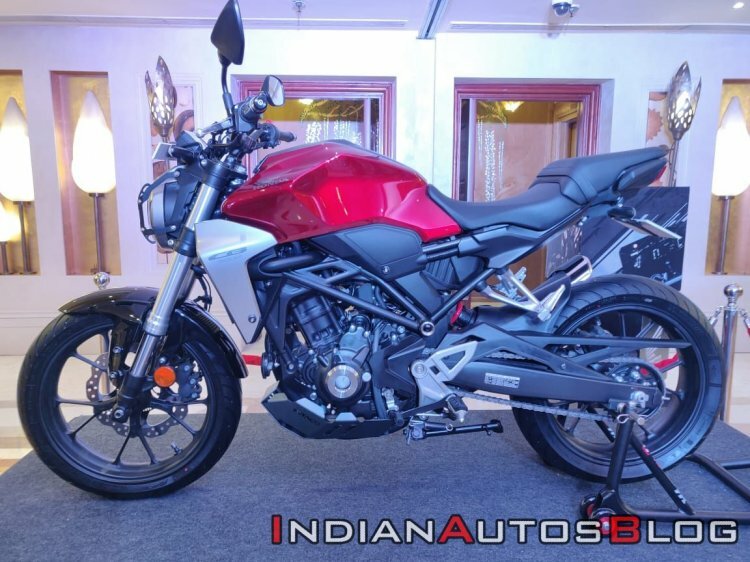 Despite coming to India via the CKD route, Honda has managed to price the motorcycle competitively. Apart from KTM, the Honda CB300R could also face some competition from the Royal Enfield 650 Twins, particularly the Interceptor INT 650 that retails for just INR 9,000 (INR 2.40 lakh – ex-showroom) over the Japanese motorcycle but offer a 650cc parallel twin engine.